If you spent a significant portion of your childhood in the eighties, I don't think it was possible to miss out on The Goonies. The bittersweet tale of a group of kids facing their last weekend together in their beloved town coupled with a pirate mystery and a group of ruthless criminals made it a perfect film for families. To my surprise, a recent viewing proved the film to still retain much of its charm. Despite talk of a sequel re-uniting the Goonies as adults for years, the project now looks as though it will never come to fruition. Donner and Spielberg don't have a script that they're happy with and some of the actors have lost interest. I would have been wary of such a thing, anyway, as I am with many attempts to cash in on my nostalgia (particularly if they involve a Corey), but it couldn't have possibly been worse than that recent sequel to The Lost Boys. Besides, we already have a sequel to The Goonies. Read on to find out more. 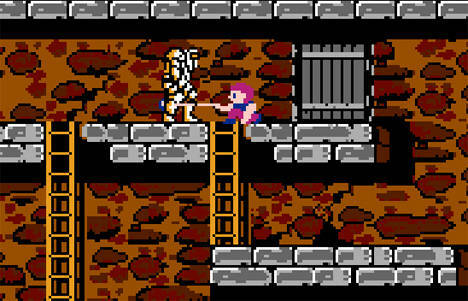 While The Goonies was made into a videogame for the Famicom, it was never released in the United States except for rare appearances in Nintendo's Play-Choice 10 arcade machines. It always struck me as a little odd that the sequel would come to North America when we'd never had much opportunity to play the original, but I was not about to complain. See, I was a big fan of the movie as a kid. I wanted to be a Goonie. I even played the hell out of the licensed board game (which was, as I recall, surprisingly decent compared to similar products). 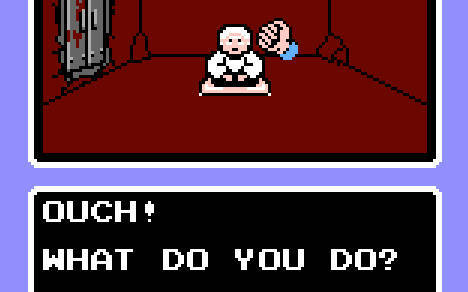 So, a videogame where I controlled Mikey was so far up my alley it could have performed a prostate exam. The plot of the game is simple and believable. Almost. After their defeat at the hands of The Goonies, the Fratelli family have busted out of prison again and are seeking revenge. They've captured six of the misfit gang of kids along with their mermaid friend (wtf?) and are taunting Mikey to come and rescue them. As Mikey, you have to navigate through warehouses, caves and underwater regions to find the kidnapped Goonies and stop the nefarious Fratellis. 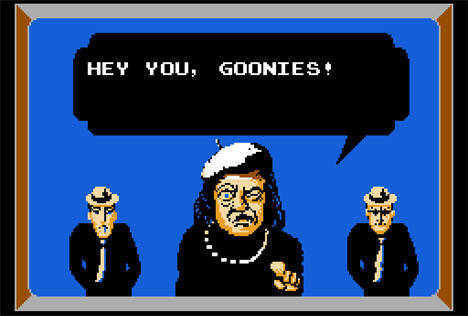 The Goonies II is an action-platformer with a heavy focus on map-making. The preceding sentence will now allow me to go down in history as a master of the understatement. This game requires sheer detemination to complete. 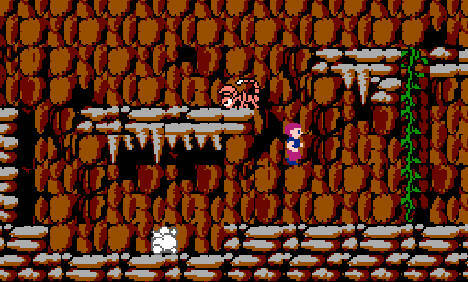 The game world feels absolutely huge for a NES title, spanning roughly 150 screens in the platforming areas of the game. 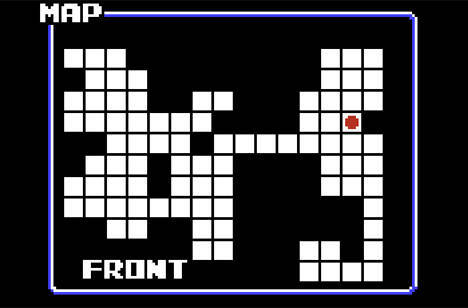 These are broken down into two maps, front and back, which are connected by first-person maze rooms. What makes the map challenging is that you cannot simply overlay the front side of the map over the back. They don't directly correspond and most of the passageways between them will place you in an area quite distant from where you expected to emerge. None of this wandering would be too much of a problem, were it not for the items you collect through the course of the game. Nearly all of these quest items allow you to either traverse previously inaccesible passages within the first-person areas or reveal ones you didn't even know existed. 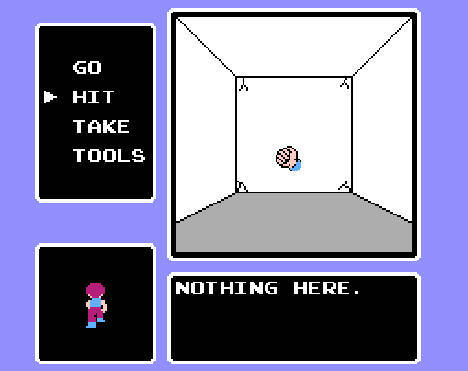 And you have to hit every single wall you come across or you risk missing out on a useful (sometimes necessary) item. So, every quest item you collect (and there are five of them) almost force you to revisit every area you've already been to. The process quickly becomes tedious and frustrating. It's a rare game that I recommend not be attempted without the assistance of a walkthrough, but The Goonies II is most certainly one of those. It's a real shame that the mapping and item hunting aspects of the game are so amazingly dull because the platforming bits are great fun. Armed initially with only a yo-yo, other weapons like bombs and boomerangs become available over time. Mikey controls exceptionally well and can find special shoes to give him either greater height for his jumps or faster movement. Enemies respawn all over the environments constantly, so there's never any shortage of things to avoid. While most of these foes go down with only a few hits at the beginning of the game, things get much more challenging in the latter half, with creatures that dish out significant damage and take a ton of attacks to take down. Then there are some other really strange but endearing bits to the game, such as the bizarre characters you meet in the tunnels. My favorite is probably the old woman you have to hit repeatedly to collect a quest item (seriously, who hits every person they meet five times? Once or twice, I could understand...). Another good one is a superhero, Konamiman, who appears in some passages and will restore your health to the maximum if you find him. I would also be absolutely remiss if I failed to mention the soundtrack. Actually, there's only one song in the game that's worth a damn, with most of the rest being generic, repetitive chiptune drivel. But the instrumental arrangement of the Cyndi Lauper song from the original film, "Good Enough," almost makes this game worth playing. I want to say how wonderful The Goonies II is but that's just because I hate being wrong and I was very wrong about this game. I don't think I ever realized, as a child with mediocre platforming skills, the level of complexity involved in this one. It was a lot of fun for me to play at that time because I was too busy dying in the excellent platform areas to really notice how utterly lost I actually was. Now that I can survive competently in the side-scrolling, the rest of the game winds up being worthy of a trial for Job. If you haven't played it, I suppose it's worth checking out on the basis that wandering around for half an hour is quite enjoyable if you aren't interested in actually completing the game. Going that extra bit past just jumping and killing things feels too much like work, though. Coming from a guy who loves Harvest Moon, that should warn you off right away.